If you are concerned that you wont be able to build a website, well don’t be. It is not difficult at all. Building your own On-line Income Website is what will bring you success not only monetary wise but also confidence wise as well. Building and designing a website has never been easier these days with WordPress. 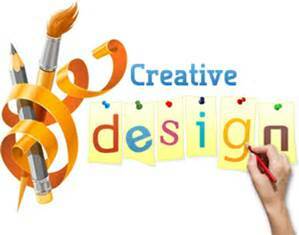 Actually this very website is created with WordPress! It’s so easy because it has been developed to create and maintain a website with no technical knowledge at all! Back in the day when technology was only confined to those who knew how to code HTML the few people that took that knowledge and built websites made an income by building websites for the people who were afraid to touch the computer in case they made mistakes and errors. Everyday people like you and me couldn’t or wouldn’t want to try to learn the potential of the internet and it’s global market. Fast forward to today and now the technology has come a long way. ANYONE can now build a professional website within minutes! And I want to show you how! It is important to understand and get your head around that if you are trying to go into the on-line world without a website of your own, you are going to have short lived success. VERY SHORT LIVED. Got you worried? Don’t be. WordPress accounts for over 60 million websites on the internet! That is an astonishing number, but just think about it for a second. 60 million websites Now that figure means that the system works and also means that there are ordinary, everyday, like minded people like you and me that have found the courage and commitment to have a go and start in the On-line Income Earning For Life World. Below are the links to your free websites. And just like that, you are going to have your very own, fully functional WordPress website up and running by clicking the links above or simply sign up for free in the box below. Just add the name of the Domain you want your website to be called, click the “BUILD it NOW” and see if it is available straight away. So easy. Once you have a website, which is your “web presence”, then you have hosting, the place that stores your website and makes sure it serves quickly and efficiently to people that visit your website. The hosting is all included in your FREE WEBSITE that you will create by filling out the box above. The list provided below are some very important aspects of websites that make the difference between a quality site and one that is lacking. When you accomplish these 5 things, you will be operating a very successful (and profitable) website. Still worried you don’t have the knowledge to do it? Well don’t be! You will have support and training along the way. By signing up for your free account you will have the start to learn how to build your professional website in a short time. Click on the image and see how a website can be built in 30 seconds. Step by Step. While you build your website you will learn like many other people before you the easy techniques that have been out of your grasp because you didn’t know where to look. You will learn about…. You probably have heard of the term SEO. Well you will get a better understanding of what it is and how to use it. SEO is a process which enables you to achieve a good ranking or position on Google or other search engines. It’s not hard at all to learn about. Once you’ve set up a free website, you will find that you want your own DOMAIN NAME. Having your own Domain will give you a better advantage and your SEO will help make your ranking better on Google or other search engines. 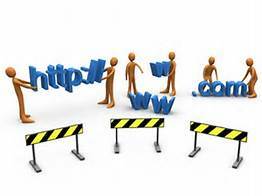 You will need to pay for your own website domain but his doesn’t cost too much and it is a once yearly fee. There are many place where you can buy your Domain but I use Siterubix and Wealthy Affiliate Domain access as it is easy to transfer your free website over to your own Domain at the click of a button and the cost starts from $13.00 per year. I found it better because the security and process is easy and no worries for me. You will learn how to do this easily and as you add content and update your website, it will increase in value. Just like real estate. Improvement increases value. Then you can sell it if you want. There are certain tools to get your website indexed on Google. Obviously it is ideal if you already have a steady traffic flow to your website. One of the common ways do this is through sharing on social media, by installing social plug-ins on your website, or by emailing links to your friends and colleagues and have them click throughout your website. Doing this kind of wakes up the search engines and makes the SEO realise “hey there’s a new website out there and people are looking at it so it must have some thing on it that people like” The search engines then start to organically increase your rankings. On Wealthy Affiliate, your website will naturally get Indexed as you continue to add content as well. Well-placed images can help spice your website. Tasteful images can add value to your site by linking directly to your content. Visually and appealing images also give the viewer a clearer idea of what messages they should be taking from your site. Images can be inserted into side-bar widgets (in this case they will appear on each page), or inserted into text or within a paragraph. When images have an HTML link embedded in them, visitors can click on images which will take them to other sites. Within the WordPress, it is as easy as clicking the media tab and uploading saved files into your page content. Always remember to only use images that are not copyright, using copyright images is a good way to get sued. Some websites allow you to download images for free and without having to acknowledge the source, so make sure you check these out. You will learn where to find these how to do this…. So you are probably thinking… where are you going to learn all of these aspects about website building? The Wealthy Affiliate Community is just an easy sign up away… A great group of people that are always available to lend a helping hand. I like the sound of that, your online income for life and thats what can happen. Online business is the way to go and the amount of money that can be made is so amazing. Thanks for sharing this most valuebale information. Hi Jalby, thanks for the opportunity to view your website. Yes I have to agree, that Word press is very user friendly. Your website also inspires and gives hope. Online business is definitely the way to go where one can create security for the future. It’s also an investment like real-estate. Wealthy Affiliate is the way to go. Thanks for your insights and all the best for the future. Hi Adrian, thanks for your visit. Yes people don’t realise that when they decide to build their website they are investing their time and money but also that their investment can and will not only give them an avenue to earn an income but when their site does start earning an income regularly, their website gains in value. Then of course they have that extra choice of being able to sell their site for a nice little profit. Another point that not many courses explain to students. 1) What do you mean by content management system? 2) How do you go about creating quality content? 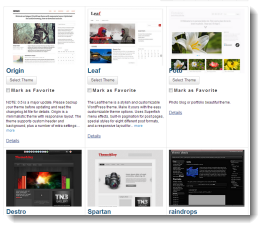 3) What do you think about drag and drop website builders? They seem easy to work with. Hi Cathy, thanks for visiting my website and please do visit SiteRubix to learn more. Content Management System (CMS) is a computer application that is used in supporting creation and modifiying digital content. Basically CMS helps with website contruction by sorting and arranging the content and presentations that an author prepares. It is included at SiteRubix. To create Quality Content for your posts and pages, it is best to chose a topic or niche that you are familiar with and you can read more about that here how-to-pick-a-niche-what-is-a-niche . Prepare yourself with some research by surfing the web and use what you learn within your article. Don’t copy directly. The important thing is that it is best to write naturally in your own style. Your readers like articles that are natural and from a persons own perspective and own ideas. You can pay people to write content for you but I have found that writing yourself is a lot more genuine and real. If you know what I mean. Drag and drop website building is a great way to start out and learn but I have found that the Wealthy Affiliate program has worked well for me. The program has so many classes to teach how to build a great website and the community based organisation is always there to lend a hand when you get stuck with a question. WordPress accounts for over 60 million websites so to me that means the program works pretty good. Thanks for dropping by and hope I have answered your questions satisfactorily.